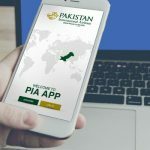 Pakistan’s International Airline Service, PIA is entering into the digitization domain by providing its customers with the service of online check-in. This facility will enable the passengers to check-in online even before reaching the airport. Customers will be allowed to check-in online and service will be accessible 24 hours before the flight, until 3 hours of flight. Online check-ins are particularly useful when someone is travelling with hand-carry only luggage. In such cases, one can get the boarding pass well ahead of reaching the airport, get the security cleared and head straight to the gate instead of getting into the queues at the airport. The service has been made available with effect from June 12,2017. The service is currently valid for domestic operations only and that is also limited to flights between Karachi, Lahore and Islamabad. The PIA said it will extend its online check-in service for other airports as well very soon.